Beautiful baroque corner building with excellent location. 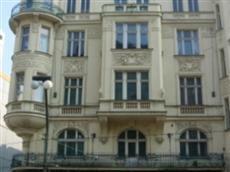 Perfectly situated in the Old Town between Old Town Square and Wenceslas Square. Walking distance to all locations. Very high standard apartments, all refurbished with wooden floors, new furniture, 2 separate double twin bedrooms and lounge with fold out double sofa. Separate bathroom and equipped Kitchen. Bed layouts can be twin or double. Lounge with satellite TV and dining area. Four apartments with lift. Beautiful panoramic views. All bed linen and towels included. Maid service 2x per week.